On June 22nd, Serenity Sky Villas has just finished the roofing and moved to completion. Let Realestatevietnam explore the differences of the Serenity Sky Villas project with those of other segments. According to CBRE, in Ho Chi Minh City, the proportion of luxury apartment products accounted for only 2% of the total supply of real estate apartments. In addition, as the central land fund is shrinking, so the heat of luxury real estate in these areas becomes more and more powerful. CBRE forecasts that super-real estate products will grow by about 7% between 2017 and 2019. In the current year 2018, the market of villas in HCM City is scarce with the scarce supply, the attraction from the luxury villa projects always attract a lot of attention of customers. In particular, the villa projects are located in District 2, Thu Duc, District 7, District 9. Supply is scarce, but to leave a mark on the market must be named Serenity Sky Villas SonKim Land. 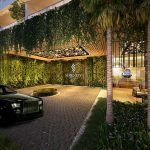 Not only owns a prime location in District 3, surrounded by the city’s most famous “villa village”, the Serenity Sky Villas project has three elements: flowers, unique design bold market and service level. Located at Dien Bien Phu Street, Ward 7, District 3, Serenity Sky Villas inherit the values ​​of cultural heritage as well as the old architecture of Saigon. Since ancient times it has been planned as a villa for the upper class. So the roads here are covered with shady trees. At the same time, this is also the absolute security area when there are many consulates, non-governmental organizations located here. Investor SonKim Land wants to create a new mark in the market is bustling, diverse today. Therefore, Serenity Sky Villas offers a new concept of house with airy villas designed in accordance with a new standard, not only modern but also comfortable and delicate. 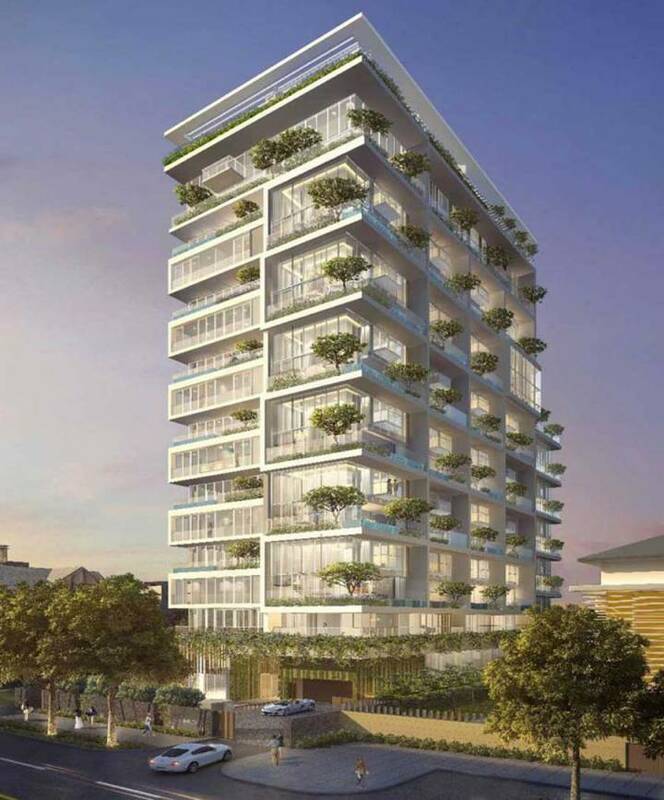 The Serenity Sky Villas project consists of only 45 units with 17 floors. Each Serenity Sky Villas has an elevator, a garden, a private pool and a spacious balcony. The designs maximize space in harmony with nature but still retain the utmost privacy for Serenity Sky Villas. 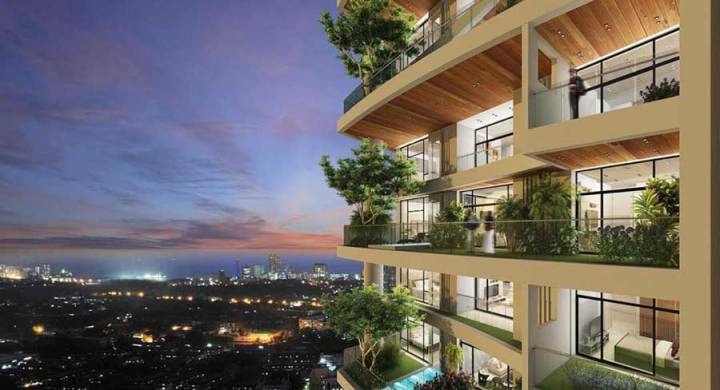 The ceilings at Serenity Sky Villas are up to 7m, twice as high as conventional projects. The spacious living room and dining room create a feeling of spaciousness, maximum comfort for Serenity Sky Villas owners. In the Serenity Sky Villas, there is a private car park for each apartment, all bedrooms have built-in wardrobes. Each Serenity Sky Villas has a dedicated back door for the staff. The entire Serenity Sky Villas project consists of 3 to 6 villas. 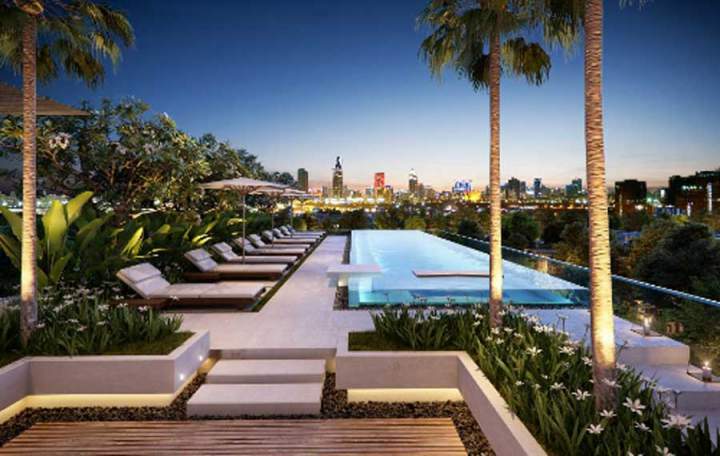 All projects are devoted and gray matter of the investor, with the desire to create different values ​​in the segment of villas in Ho Chi Minh City. Speaking to District 3 can not fail to mention the French villas hundred years old style Indochina. The villas in this area are subtly combined between French temperate style and subtle, secluded Asian architecture in tropical climate. Because it is located right in the heart of ancient French villas, so Serenity Sky Villas bring a modern living space, stylized but still playing the sound of an old Saigon. Unlike the elegance and coolness of modern architecture, the Serenity Sky Villas air-conditioned villa is delicately designed in a tropical style that is harmoniously combined to create a warmth for living space at Serenity Sky Villas. In modern life in a dynamic city like Ho Chi Minh City, this place is always changing and planned to become suitable. However, at the Serenity Sky Villas project area is still one of the places to save the hundreds of years old villas. Serenity Sky Villas can be compared to the masterpiece of bold innovation on the traditional architecture. Serenity Sky Villas has inherited the outstanding features of traditional villas, combining harmoniously with the surrounding Indochinese architectural style, providing the ultimate in luxury living and lifestyle for the owner. 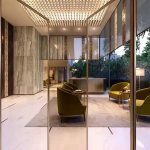 You are reading the article Serenity Sky Villas and the differences in the luxury villa segment in the Real Estate category at https://realestatevietnam.com.vn/.Any information sharing, feedback please email to info@realestatevietnam.com.vn, Hotline 0909890897 (24/7). Is Serenity Sky Villas just for the upper class?